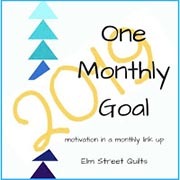 Back in March, Judy, the Virtual Quilter, posted Virtual Quilt Challenge #5. We were to select a block from the EQ Library and play with it. We are learning to create applique designs! Judy gave more examples here and here. I wish I had more time, because this is a really fun challenge! As I play, more ideas keep coming, but this will have to do for now. I chose to work with the block that is in the upper left square. I am saving this file so that I can come back and play! Judy, of Virtual Quilter, posted her 4th challenge in learning to use Electric Quilt. We were to select block designs from the previous challenges and learn to create and save libraries in EQ. This was a good reminder for me, since I have many, many blocks from all of my EQ playtime that I have yet to organize into the library. I have got to make time to do this! For this lesson however, I chose a very few variations that I had from Judy’s challenges. The second part of Challenge 4 was to use the blocks to design a quilt. I stalled out, since I couldn’t see how these blocks could work together. Today, I made myself sit down and play with them. How could I know if I could make them work together if I don’t try? Turns out that I could use more time to play. This was fun! The above are a nice starting point…similar…the block placement is merely reversed. I like the depth created. I experimented with simply alternating blocks to visually see how they would look set side by side. I am really liking these floating ‘bow ties’! Maybe that is because my leader/enders are bow tie blocks. Then I tried experimenting with featuring a block and using another block for the background. I will be saving this file! It is worth coming back to and playing some more. There are definite possibilities here! Especially when one begins to play with color, value, adding and deleting lines to create more blocks! Thanks for pushing me, Judy! Judy, of Virtual Quilter, posted her 3rd challenge in learning to use Electric Quilt. We were to choose a kaleidoscope block, one made from many sections, and choose a fabric collection to play with. I chose the Faceted Star block and Modern Marks fabric by Christa Watson. This was a great exercise! By playing with value/contrast, the block could be made to look so different without ever adding another block or more fabric. So Scrappy and The Academic Quilter are co-hosting the RSC18 Squared Away Sampler project. September’s block is the Queen Charlotte’s Crown quilt block. This block is easily drawn with a 5 x 5 grid. I found this block difficult to visualize, so I decided to play with it. I haven’t used any alternative blocks in any of the following designs, nor have I played a lot with value, so there is room for plenty more creativity! I think I like this block after all! The ‘lattice’ really shows up in this layout; it would be fun to play more with the value. By the time I finished playing, I had enough designs for a couple of blog posts. Unfortunately, I accidentally deleted my project file. I have been using the Nancy Martin’s Perpetual Calendar 365 Quilt Blocks A Year to inspire myself to practice design. One of the August blocks is called Waterwheel. I drew my block on 4 x 4 grid using Electric Quilt 8. You can certainly draw it with a pencil and graph paper. I like to set the block side by side in a straight set just to get a feel for how it looks. I had such a hard time getting inspired by this block that it has taken me weeks of procrastination to play with it. Maybe sashing would make it look better? Maybe rotating the blocks would help. Maybe I’d like it better with a different colorway. Or how about set on point? Perhaps you might find a setting and/or a colorway for the Waterwheel block that really inspires you. As for me…I am ready to move on to another block. Some time ago, I thought it would be great practice for me to work my way through drawing the blocks found in Nancy Martin’s Perpetual Calendar 365 Blocks A Year. The calendar was published in 1999. I don’t know that I have had it that long, but I’ve certainly had it a very long time. Obviously, I don’t work a block a day, but I’ve worked (I should say played) my way through quite a few blocks. You can find them by clicking on the Quilt Blocks tab in my header. And I have learned, and gained confidence, in using grids to draw blocks, as well as experimenting in quilt design. The following block is simply named Train in Nancy’s calendar. Train is easily drawn using an 8 x 8 grid. I think this block is a great little block for children’s quilts! Or perhaps use just one block and a track border for a fun little pillow for a child. In this blogpost, I showed a few straight set quilt designs using the Mother’s Choice Quilt Block. I also played with the block using an on point setting. Which design appeals to you? Or would you create a different one? There are lots of possibilities!